Located along the gorgeous, old style Miller St the luscious and green North Sydney oval and the surrounding St Leonard's Park would have to be one of the prettiest ovals I have ever seen. Lots of open grassed areas, tall trees and lovely gardens this oval dates back to 1867 when a cricket pitch was first put there. This makes this cricket pitch one of the oldest cricket grounds in the whole of Australia. After many changes, developments and upgrades this oval, in 1992 won the Sydney Cricket Award for 'Ground of the year'. It has been the home ground of the North Sydney bears since 1908 and the oval is owned by North Sydney Council. It is capable of holding around 20,000 people. 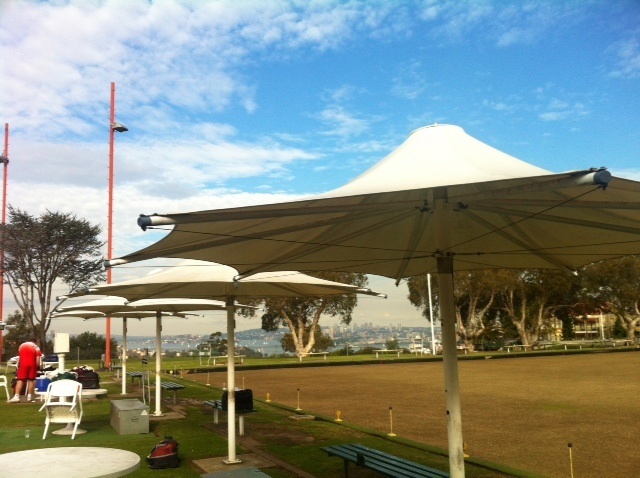 The bowling greens have a stunning view right over Sydney Harbour. In its history this oval has seen high profile matches of cricket, rugby league, rugby union, soccer, Aussie rules and netball. In 2003 an outdoor inflatable cinema screen was set up at the oval known as, the Starlight Cinema. The Starlight Cinema is now a well known event that runs each year around January and February showing movies on the huge screen in the evenings. The oval has a number of grandstands and even a function centre. 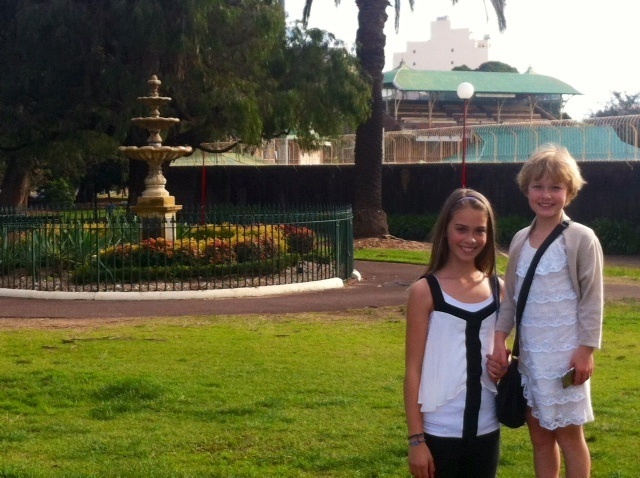 The park (known as St Lenonards Park) has lovely pathways, hidden tracks, palm trees and monuments to see along the way. The gardens are expertly maintained and really looked after. This park is extremely large, I am sure I am yet to see more of it. Each time I have walked through it really gives you a lovely calm feeling. There are so many lovely things to see and do there. There are picnic tables along the way and you can walk, run, scooter, ride and throw a ball or frisbee with family and friends. Hidden within and behind this oval in what is actually known as St Leonard's Park is North Sydney Bowling Club or Northo Bowlo as it is affectionately known. This bowling club may not be fancy inside in fact it really needs an upgrade but it is really cute and historical. This is the very first bowling club in mainland Australia! It has three greens, with large white umbrellas for the players and spectators, a nice outdoor BBQ area and an indoor open plan lounge area and bar. Although small it still fits in a couple of poker machines. The best draw-card of this bowling club would have to be the spectacular views! 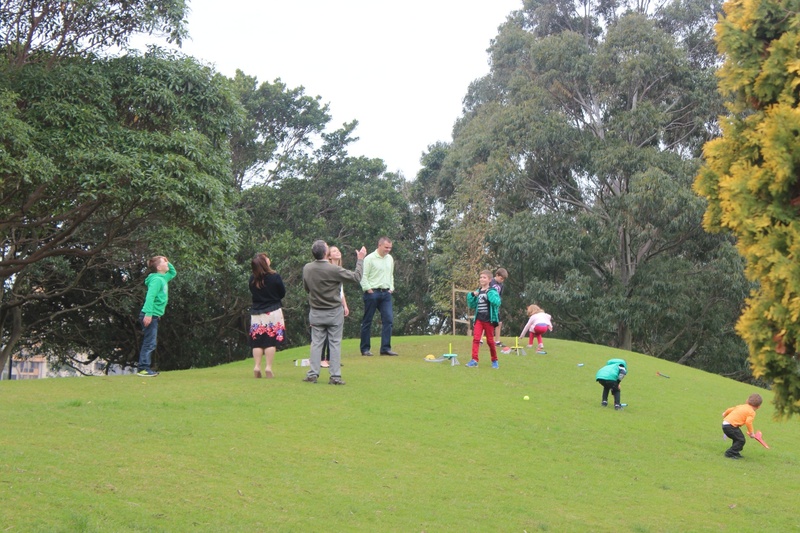 From the clubhouse and whilst playing on the greens, it has an amazing 180- degree view of Sydney city and even the harbour from up high. It is breathtaking, especially when visiting on a sunny day. This club was founded in 1888. My niece had her first birthday party here. It was great because the adults could sit on the lounges and ottomans inside, looking out at the view through the large windows and the kids were able to play outdoors on the lovely grounds of the surrounding park and oval. We had a set up buffet lunch separated from the rest of the club by a large room divider. 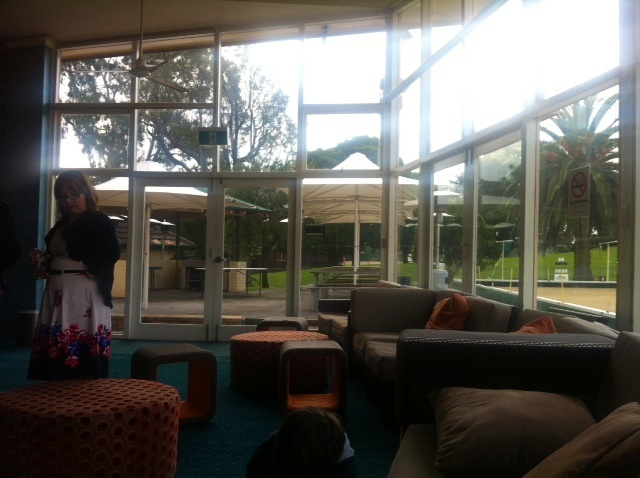 The back doors opened out to the outdoor area, the park and its ovals. The carpark is tiny and very narrow but really pretty. The in and the out are the same small pebbled drive way. 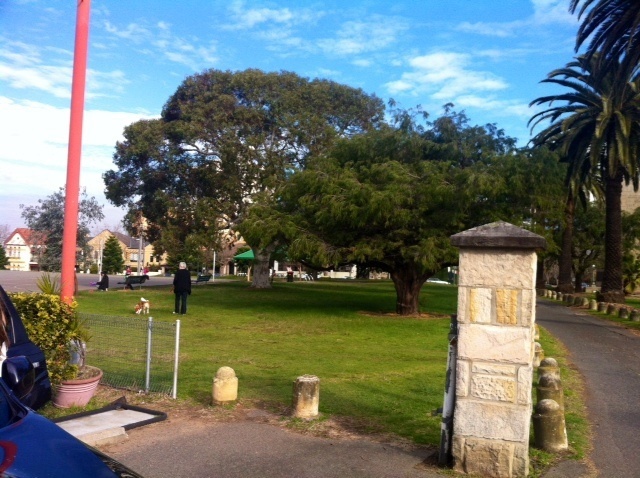 It leads to a sandstone gate post and huge leafy palm trees surround the area, they are beautiful. Beside the drive way, right where you drive in is an Anzac War memorial, then as you drive up further you can see the grandstand over a fence and a lovely fountain called the Tunks Fountain. The playground is fully fenced and features lovely fig trees, a music area, sandpit and diggers, swings, a roundabout and even a huge snakes and ladders game and a music area where you can actually use the instruments. There is limited parking in surrounding streets. It is about a 15 minute walk from North Sydney Railway Station or buses run quite frequently along Miller Street. Dogs are allowed in most areas of the park but not the ovals or near the playgrounds and equipment. Why? 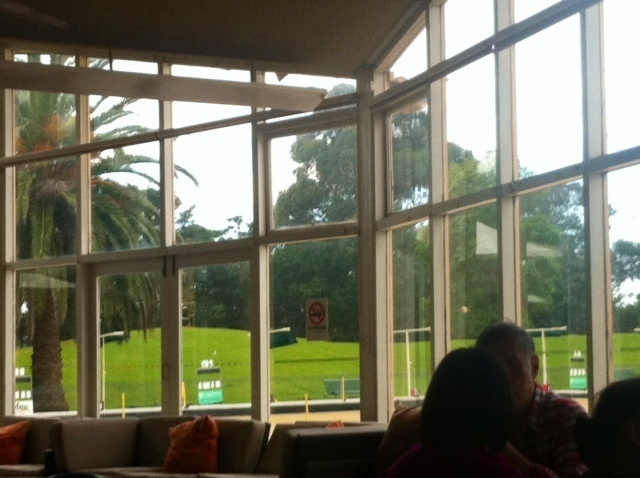 Pretty as a picture, oval, park & bowling club with harbour views.